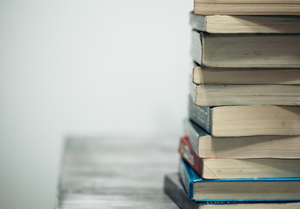 Just in time for Easter, a few handpicked book recommendations for your pleasure. We love doing book newsletters the most, discovering new tips for our family holidays. A young, happy page-turner means that we get to read on vacation, too. 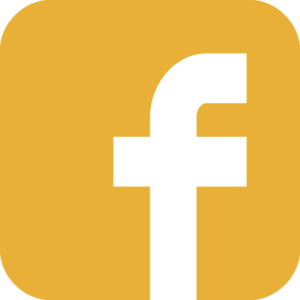 There are numerous new books on Kinfo app, which is great, because our month-long library (of newsletters) reopens in August. We want more tips! 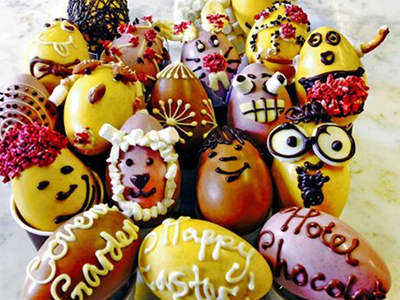 The British cocoa plantation, chocolatier and retail giant, Hotel Chocolat, is offering a Kinfo user two places at an Easter workshop. Kids will learn how chocolate is made, taste freshly roasted cocoa beans and – the best bit – decorate chocolate slabs and mini eggs to take home. To enter, in honour of today's theme, we want your latest book tips. Each new one made on Kinfo App by 5pm, Tuesday 9th will be put into a hat. 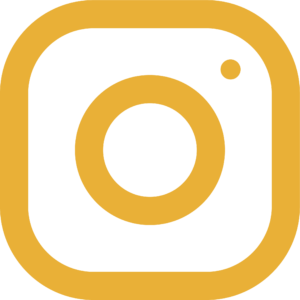 We'll pull out and contact a winner to select a date - workshops run daily throughout the holidays, here. “A wonderful adventure book which my 11-year-old can’t put down. A bestseller,” says this mum. Praised for enigmatic storylines rich in moral and ethical issues, the series features four honest, talented orphans who must go undercover at the Learning Institute for the Very Enlightened, where the only rule is that there are no rules. This is the first of four, all of which you'll soon be buying. "For all lovers of Fantasy Fiction," says this mum about the first book of the series. 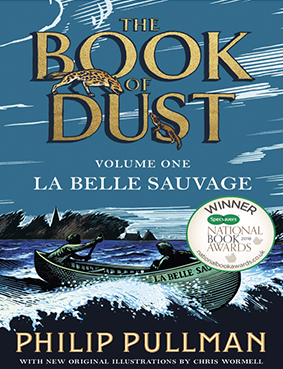 Philip Pullman is such a good storyteller that we imagine our kids' heads will be buried in these 500+ pages for days. 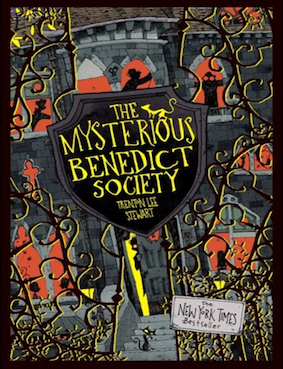 (Or, pretend to buy it for your teenager and secretly enjoy reading it yourself – it sounds just brilliant). 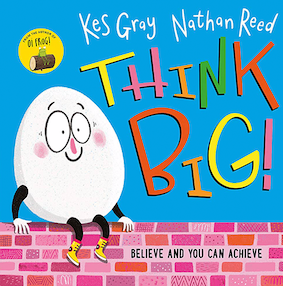 A relevant story for primary aged readers, especially those in inner city state schools. Ahmet is a refugee who fled a war, this is his perspective on the refugee crisis. The message is about the importance of friendship and kindness. "My daughter was hooked by chapter 4," says this parent. Danger and mystery in gothic, Victorian Wales. Not a sentence we've had to write before. Filled with fantasy and magic, with rhyming chapter intros. A wintry tale that will entrance and beguile imaginations. 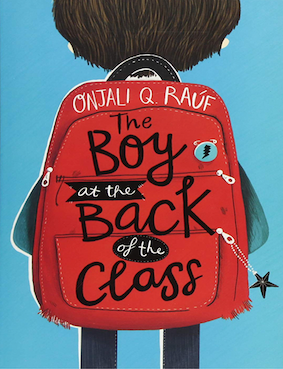 A runner up to The Boy at the Back of the Class Blue Peter fiction winner, and tipped by a Kinfo dad – a solid recommendation. Some girls just won’t discuss personal issues in too much detail, will they? But leave them to pour privately over a book like this, and the right messages do go in. 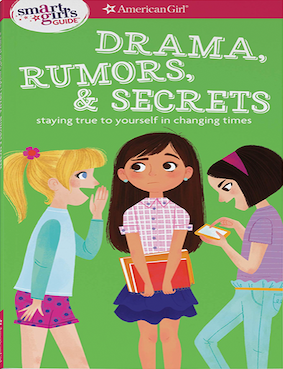 Expert insight into drama, jealousy, gossip, cyberbullying – and how to deal with them "opens up conversations to have together at home," says this mum. A pertinent guide for girls off to secondary school. Everyone at school is mad about rugby, but Eoin hasn’t even held a rugby ball before. With new rules to learn, new friends to make and new teachers to get a handle on, he really doesn’t need to have the resident bully picking him out as his target. “My son is ploughing his way through the whole series. 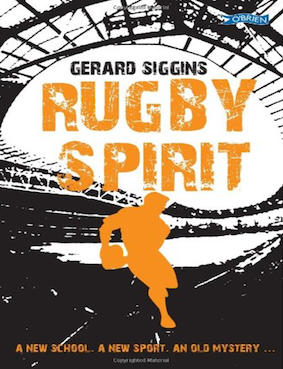 Great for any rugby fan!” says a mum of 2 boys. 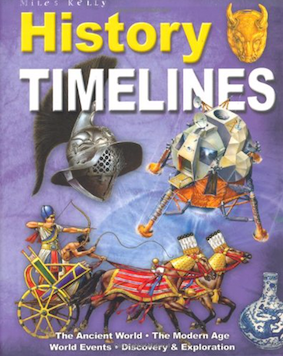 Tipped by a mum of 2 (now) teens, this historic timeline of the world since forever starts its story at the beginning of Earth’s formation. It then travels chronologically through the rise and spread of early civilisations, via battles and wars, up to the modern day. Great for fact fans and an education tool. A tale that no-one knows the ending to. Hot off the press is a brand new chapter book by costume designer, Lara Flecker, a senior member of the design team at the V&A (home to so many awesome shows, Bowie, McQueen, Frida Kahlo, Mary Quant...). 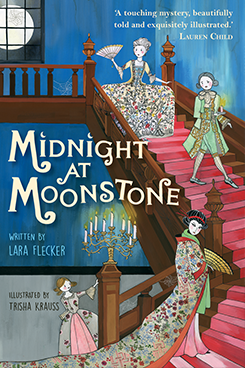 Her fast-paced mystery is "a magical story of a costume museum that sparkles to life at midnight." 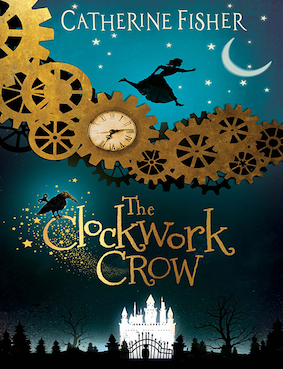 A young girl sneaks into the museum where her grandfather works and ends up trying to save it from closure. A page turner with lovely linear illustrations by Trisha Krauss. 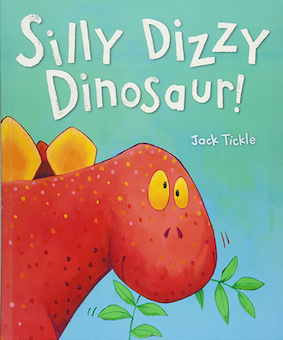 A glorious and humorous picture book “encourages interaction and is perfect for dinosaur fans,” says this mum of 2. Smashing reviews elsewhere, too, so we advise popping a copy in your basket for that special pre-schooler in your life. 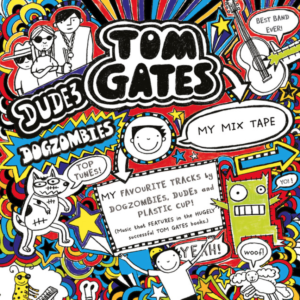 The Tom Gates Mixtape Spotify playlist!